“We know that no other laundromats in the area do this, and we like to be different,” says Clean Laundry Co-Founder Ethan Akin. Whether it’s free laundry bags, free dry days, or free wash days, Clean Laundry has a tendency to give back to its customers. Now, it’s your chance to decide how much money Clean Laundry will be donating to a local Cedar Valley non-profit. Even if you have a washer and dryer at home, this is the perfect time to spring clean and help a local charity at the same time. “Bring your rugs, comforters, pillows, and sleeping bags,” says Akin. This Friday, May 25th, Clean Laundry will be donating all proceeds from their Cedar Falls location on Progress Avenue to the Cedar Valley Church Youth Ministry. 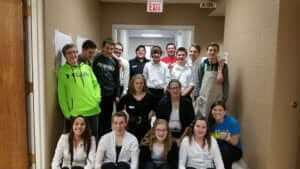 Clean Laundry has always enjoyed working with the Cedar Valley Youth Ministry. “They are a great organization and we are happy to help out a local charity that does so much good for our community,” says Akin. 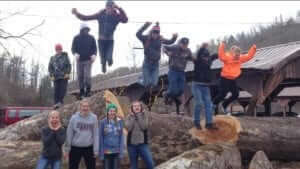 The Cedar Valley Church Youth Ministry has been around for over 30 years and currently has 35-40 active students. 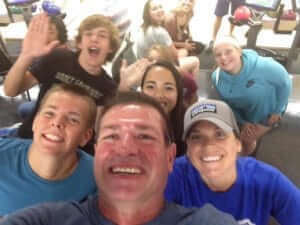 Lucy Kerns, a Youth Pastor at Cedar Valley Church, says the Youth Ministry “seeks to serve our community, country, and world through mission trips, studying the word of God, and building relationships with one another. 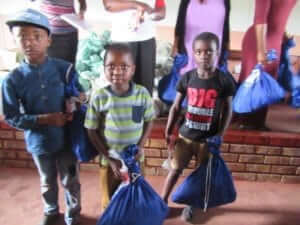 In years past, Clean Laundry for a Cause helped send Youth Ministry members to South Africa, where they donated Clean Laundry bags filled with clothing to students at an after-school facility. Kerns says the money raised from this upcoming May 25th event will go towards funding summer camp scholarships for junior and senior high school students in the Youth Ministry.